A New World | The Kids Beat | Kids VT - small people, big ideas! How long could you wait to reunite with your love? In the Jewish quarter of a Russian town in 1897, a handsome house painter and a beautiful math whiz were married. After the czar's soldiers ransacked the community, the lovebirds made the tough decision to separate: Solomon immigrated to New York, while Anna stayed behind. Vermont artist and longtime New Yorker cartoonist Harry Bliss heard this true tale many times from his mother-in-law, Elaine Snyder. He persuaded her to tell it in a book so that he could illustrate it. The result, Anna & solomon, is a gorgeous and somber new tome that's likely to appeal to adults as much as it does to kids. "Anna and Solomon are the stars of this story," writes Publishers Weekly. "But they also embody millions of others who yearned, strived and gambled everything on the promise of a better life." 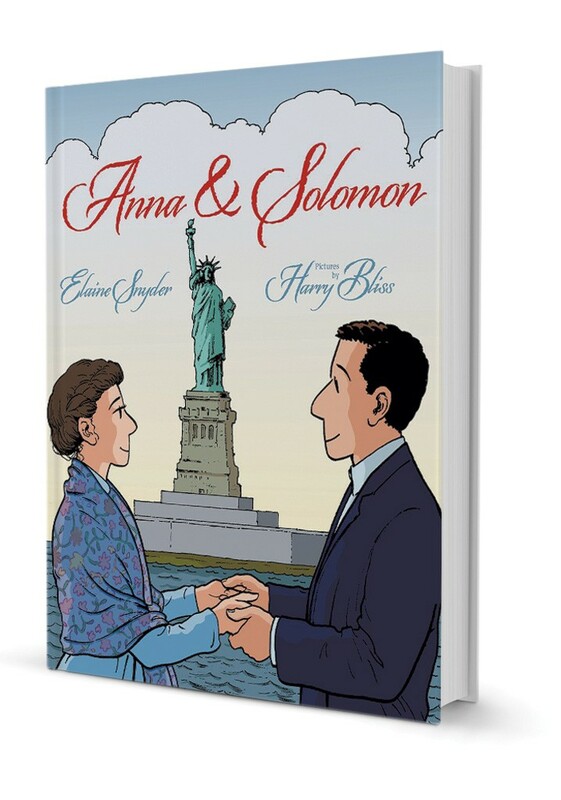 Anna & Solomon: Available on Amazon for $13.42, hardcover.